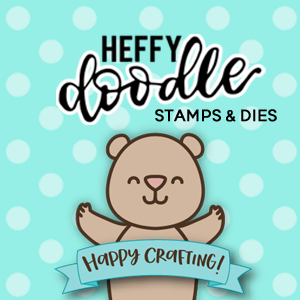 Justine's Cardmaking: New Stamp Company Heffy Doodle Debut! 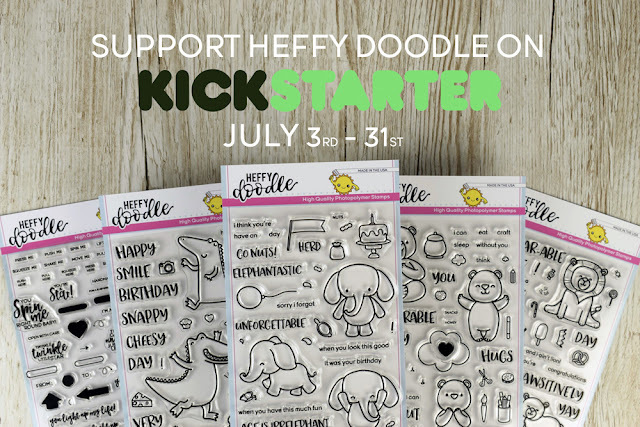 New Stamp Company Heffy Doodle Debut! I just love when new stamping companies enter the market and bring some fresh and exciting designs! 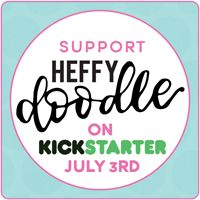 I am excited to introduce Heffy Doodle. If you have been following me on social media, I have been sharing some of their sneak peeks with you. They have already unveiled tons of sneak peeks over on their brand new blog so be sure to check it out for some enticing hints! 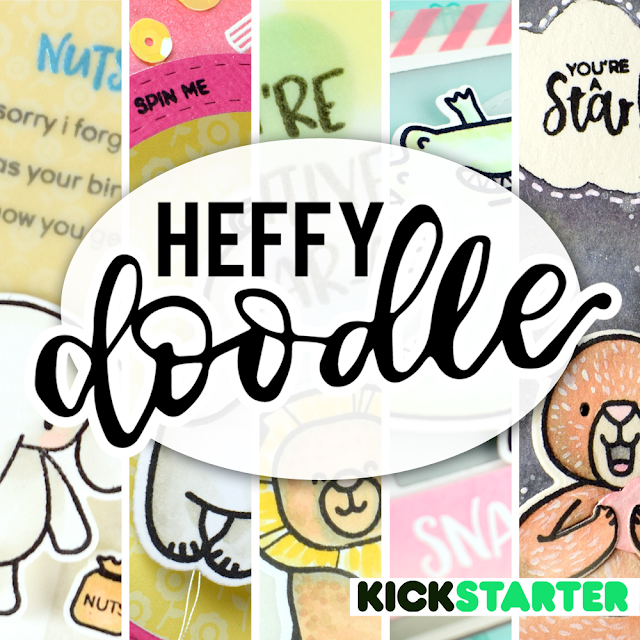 I am currently on vacation so I don't have any creations for you yet but you will be seeing a few stamp sets on my channel this month! Today marks the launch of their company on Kickstarter. Be sure to head on over and check out the reveal in more detail. I have the Elephant of Surprise and the Interactively Yours stamps already and they are awesome! I love how the Interactively Yours set is able to be paired with any interactive card - light up cards, spinners, shakers, and more. And who doesn't love elephants!? I'm excited to bring you some inspiring projects for the upcoming Blog Hop. Your card looks great. Hope you're doing well on your vacation. Cute way to use all stamps in a set. Cute card, I love the elephants! Hi Justine, The stamps look very nice, love how your card turned out, TFS, Cheers Anna.